On Saturday 20 June 2015 we played a Volley & Bayonet refight of the Battle of Wavre to mark the 200th Anniversary of Waterloo / Wavre. When I last saw Rob Cameron in January, before he passed away in May, he encouraged me to stage a Volley & Bayonet game to mark Waterloo. Roy, our regular host, also suggested that we should play a V&B game to mark the 200th Anniversary of Waterloo and suggested the 20th of June. 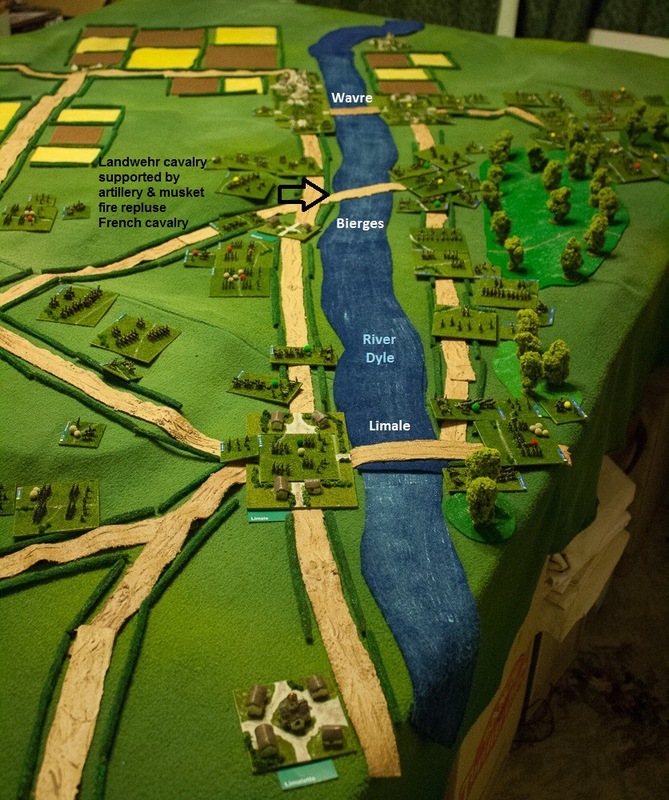 Waterloo itself was too large especially as I didn’t have any British troops. 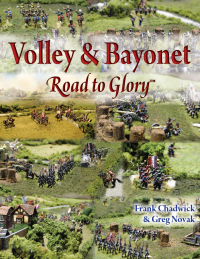 I therefore settled on Wavre and used the scenario from the V&B “Napoleon Returns” supplement updated for V&B Road to Glory with the help of Keith McNelly. The figures used are 6mm figures from Heroics & Ros mounted on 3″ bases. 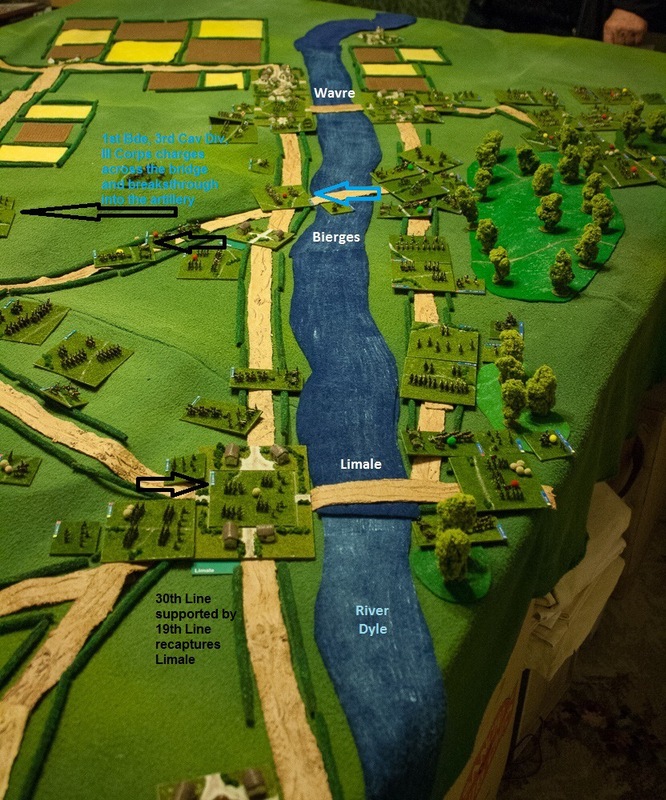 By 2pm the French had deployed III Corps on the hill overlooking Wavre, IV Corps was close behind and I Cavalry Corps was an hour or two behind on the road to Limale. 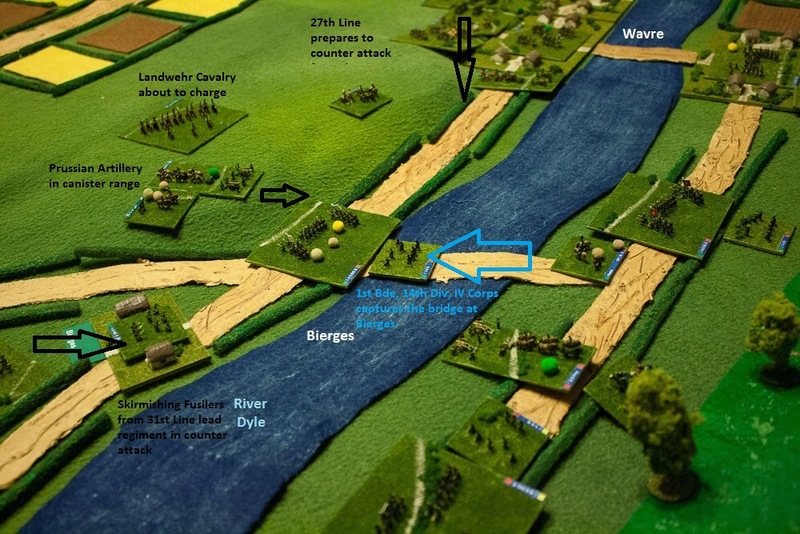 The River Dyle could only be crossed at the three bridges at Wavre, Bierges and Limale. 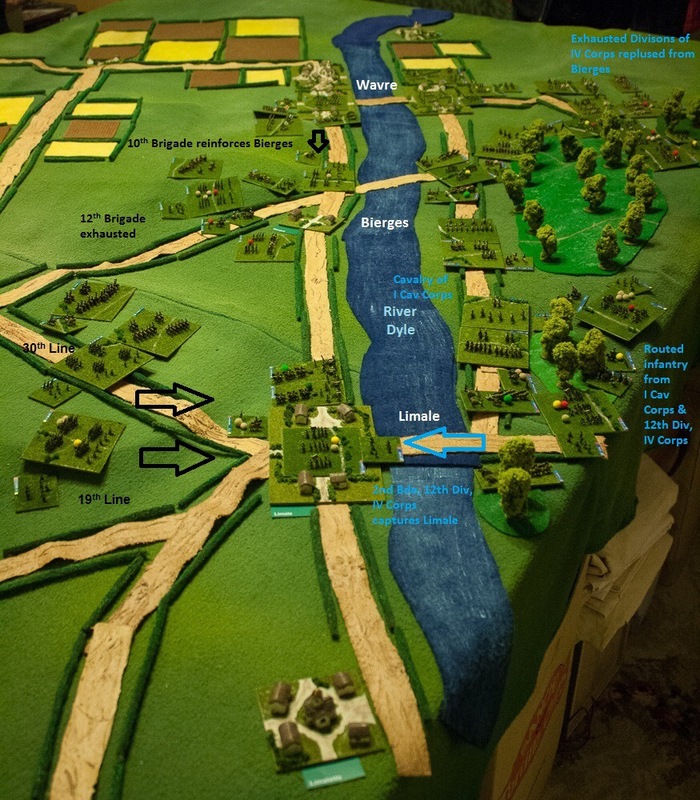 The initial deployments can be seen below with the Prussians on the left. Some early success for the French. 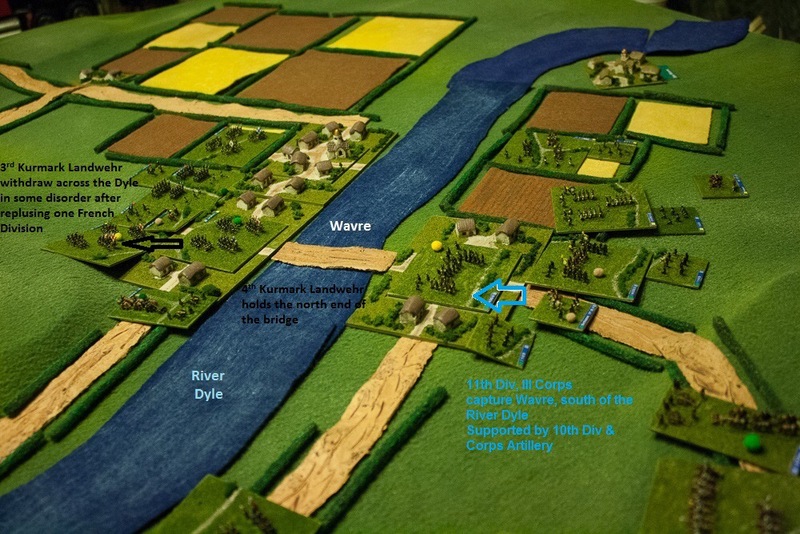 Late in the day with little fresh infantry the French throw cavalry across the Bierges bridge. 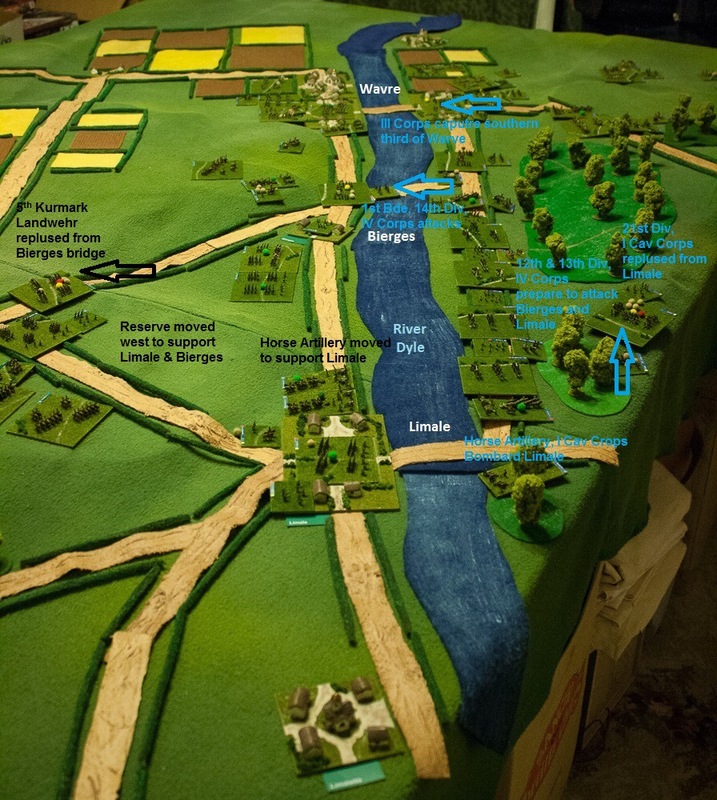 A really enjoyable and tense game, the French crossed the Dyle four times yet each time the Prussians had fresh reserves on hand to repulse the French before they could recover from the disorder caused by fighting across the river. The attempt to pin the Prussians everywhere and the time pressure to come to Napoleon’s aid had dispersed the French efforts. The Prussians were bruised but the careful use of their reserves had allowed them to hold the line of the Dyle. 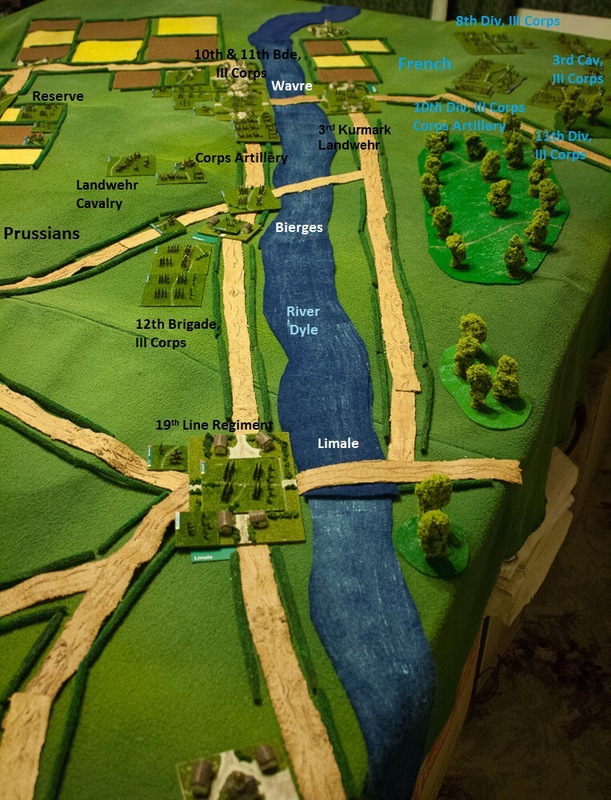 A better plan may have been to concentrate on the bridge at Bierges where there was only a village providing less cover for the Prussians. I suspect this is the plan the French will use tonight as we play the game again with the players having swapped sides.